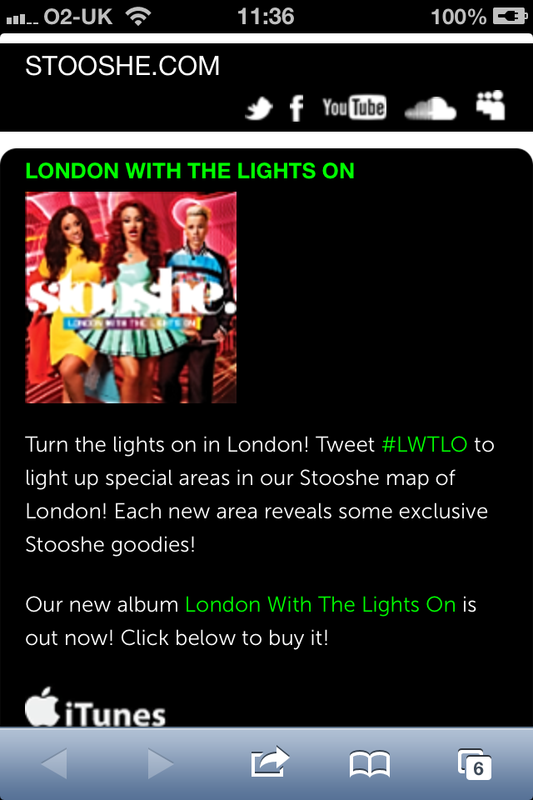 In 2013, Warner Music came with the idea of a website featuring a large ‘locked’ map of London, portions of which would unlock as the number of a tweets of a specific hashtag increased (tweet-to-unlock), to accompany the release of Stooshe’s new album London With the Lights On. 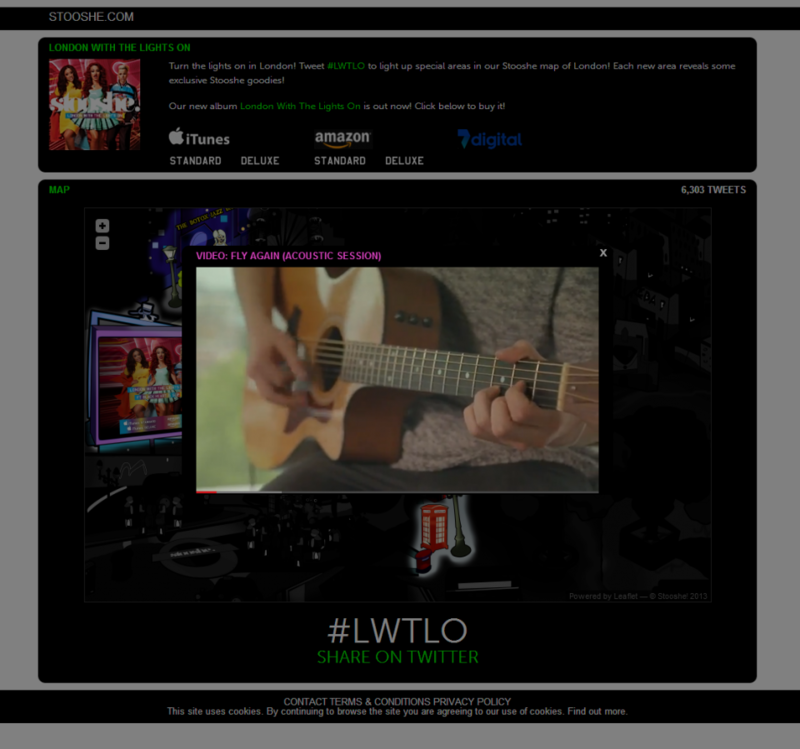 The back end of the site was custom built using PHP. 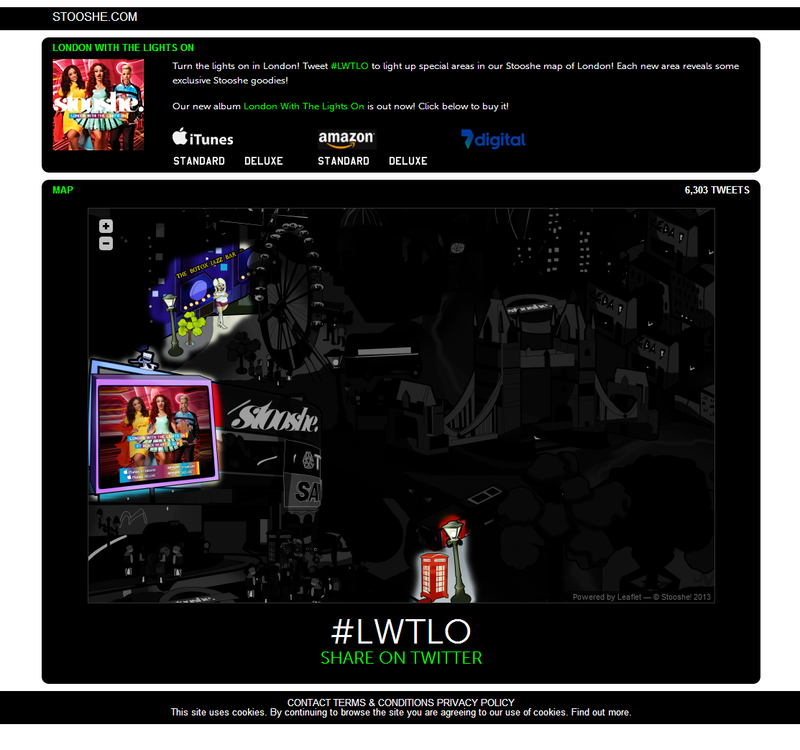 It uses the Twitter API and Oauth to get the exact numbers of tweets being sent about a particular hashtag. 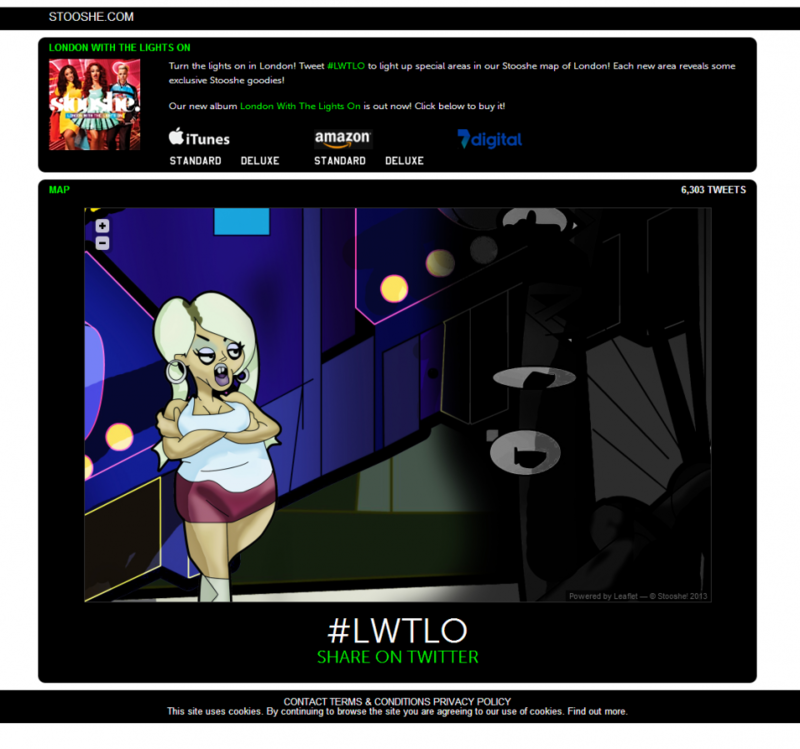 It also has a custom backend allowing administrators to add additional content and set the tweet trigger levels. I designed the site, coded from scratch, tested, and delivered the site in 18 days.